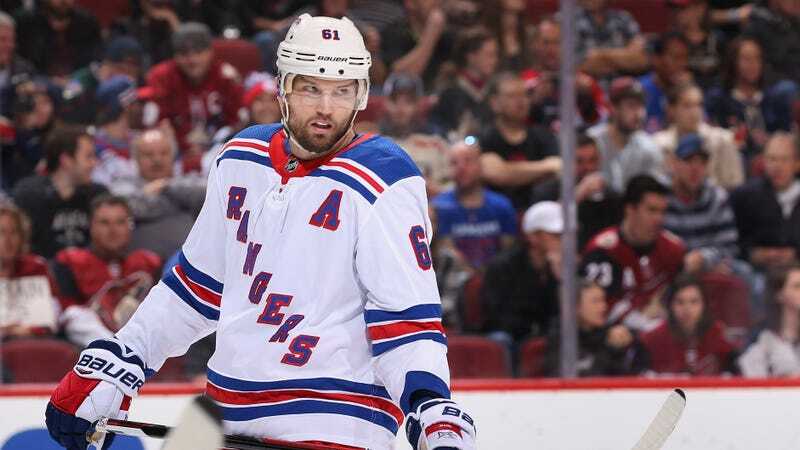 Fifteen-year NHL veteran Rick Nash, who hasn’t played since suffering a concussion in March 2018, has retired from hockey because “the risk of further brain injury is far too great if (he) returns to play,” according to a statement released by his agency Friday morning. Nash, a consistent 20-goal scorer throughout almost all of his career, got traded from the rebuilding Rangers to the playoff-bound Bruins at the deadline last season, but only managed to play in 11 games for Boston before a hit from Tampa Bay’s Cedric Paquette gave him a concussion, which was at least the third of his career. Nash hasn’t returned to the ice since, and he opted out of free agency this past summer because of his continuing recovery. In an October interview with The Athletic, Nash said that he was waiting for his concussion symptoms to subside before deciding whether or not he would play again. Nash retires as a two-time Olympic gold medalist with Canada and a six-time NHL All-Star. He scored 437 goals and got 805 points on his career, and, after being drafted first overall by the Blue Jackets in 2002, he remains their all-time leader in every major offensive category.